Dola Yatra or Melana or Milan usually the festival says about Milan or Get together of Deities basically Lord Gopinath Dev and Lord Bhagabat from different nearby villages. 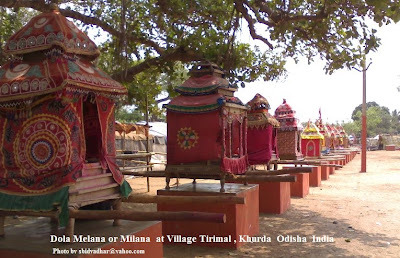 Deities from different Villages and different Sahi Bhagabat Ghara come to the Melana Padia ( Field) by Dola , a specially designed Temple like structure made up of Wood. 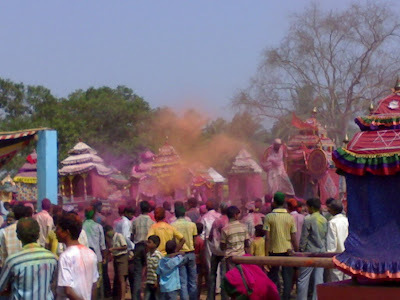 The Main Daity ( Host Deity ) welcomes all deities and make arrangement for their stay. The Stay includes daily Bhoga and Puja. 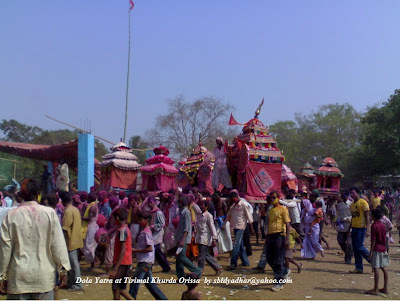 Dola Milan / Bhagabat Milan at Tirimal Khurda Odisha : Its the Time to Return back to their respective village after last meeting.